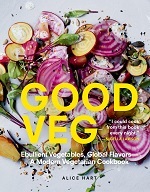 Linking up with Beth Fish Reads for Weekend Cooking. 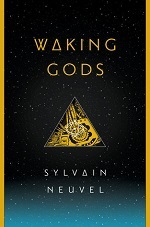 It is to author Neuvel’s credit that I was most of the way through Waking Gods (book #2 of The Themis Files, after Sleeping Giants) when I realized I was not just reading, but fully absorbed in a book about GIANT FIGHTING ROBOTS. And I had not rolled my eyes. Not once. A stellar debut can be a hard act to follow but Waking Gods fulfills the promise of its predecessor with a plot combining elements of pulp sci-fi and international thriller, with a satisfying and tantalizing conclusion promising more to come. Characters we met in Sleeping Giants are fleshed out, given more depth and backstory. Neuvel knows just how much information to spool out to keep the pages turning. Why is Dr. Franklin missing a chunk of time? Who is the girl in the opening pages having terrifying visions? And why are more robots, larger robots, suddenly appearing in major cities around the world and just standing silently? This entry was posted on April 7, 2017, in Book Review and tagged science fiction. 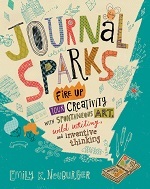 Art journalers, bullet journalers and those who just can’t pass up a beautiful blank book will find loads of inspiration in Neuberger’s colorful Journal Sparks: Fire Up Your Creativity with Spontaneous Art, Wild Writing, and Inventive Thinking. An empty page can be daunting. As can the question, what is a journal? Neuberger fills a page with all the many things it can be (at its simplest, “anything with pages that is used to collect ideas”) and all the purposes it can have. A journal can be for everything, or it can be used “only when sitting in a tree.” The rule is no rules. This entry was posted on March 31, 2017, in Book Review and tagged non-fiction. 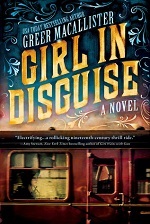 This entry was posted on March 30, 2017, in Book Review and tagged historical fiction. 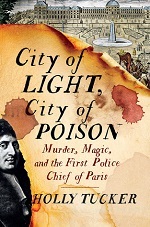 Combining the research skills of an academic and a storyteller’s flair, Vanderbilt Professor Holly Tucker brings the crime-riddled Paris of the late 1600s to life in the excellent history “City of Light, City of Poison: Murder, Magic, and the First Police Chief of Paris.” At its center is the “Affair of the Poisons” which touched both the glittering heights and impoverished lows of French society. In 1667 Nicolas La Reynie was appointed lieutenant general of police with the objective of imposing law and order on the disordered city of Paris. A flurry of ordinances cleaned the streets and lit the night. Mud taxes, animal regulations, fines for emptying chamber pots into the streets, and a special tax to place lanterns along the streets (creating the “city of light”) slowly improved the quality of life in Paris, even while causing grumbling among the citizenry. This entry was posted on March 25, 2017, in Book Review and tagged non-fiction. Happy St. Patrick’s day! 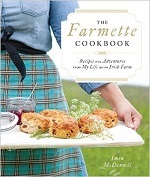 By coincidence I have today a cookbook written by an American big city career girl-turned Irish farm wife. 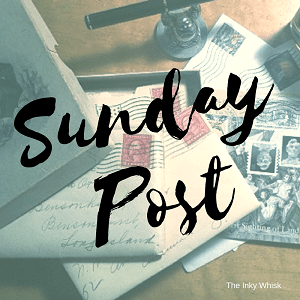 You would think with the word “whisk” in the title of this blog I would talk more about cooking and cookbooks. I should. I have cookbooks stashed all over the house, recipe cards stuffed into file boxes and piled on the counter, and when I can’t decide what to read, I pull out a cookbook and start reading that. This is just the kind of cookbook I would grab on an “I don’t know what to read now” day. And “Kitchen Library,” about recipe cards, booklets, and other ephemera that get left behind in vintage cookbooks. The Painted Queen by Elizabeth Peters and Joan Hess. (pub date: July 25, 2017) Hooray for Amelia Peabody! Thanks for reading and I hope you have a great week full of great books!